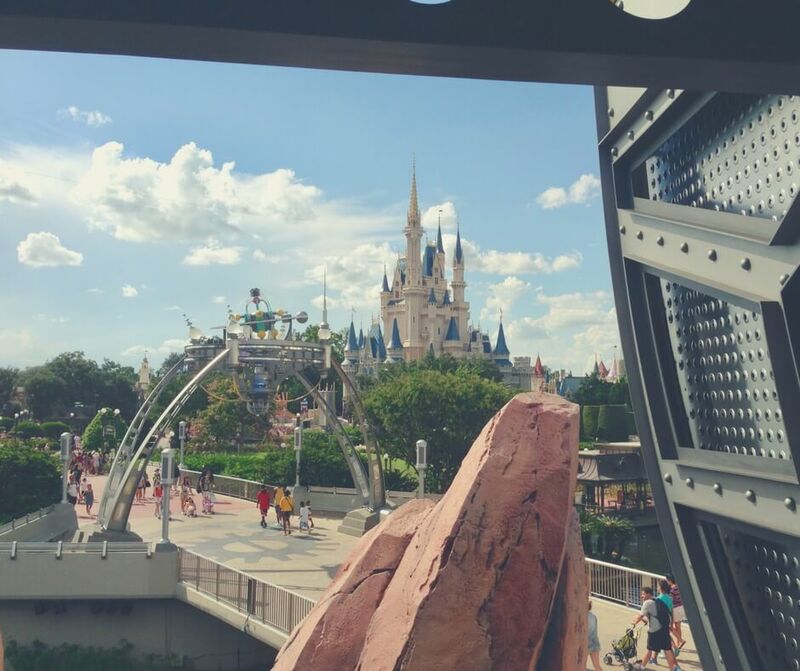 In Magic Kingdom there are 6 different lands, you'll see lots of rides and exciting things to keep you busy but you are going to want to sit down at some point. When you're going on rides you get to sit briefly but it's not really a rest. But there are ways you can have a much-needed rest in each of the lands and some of them are even rides! Can you tell which train this is? 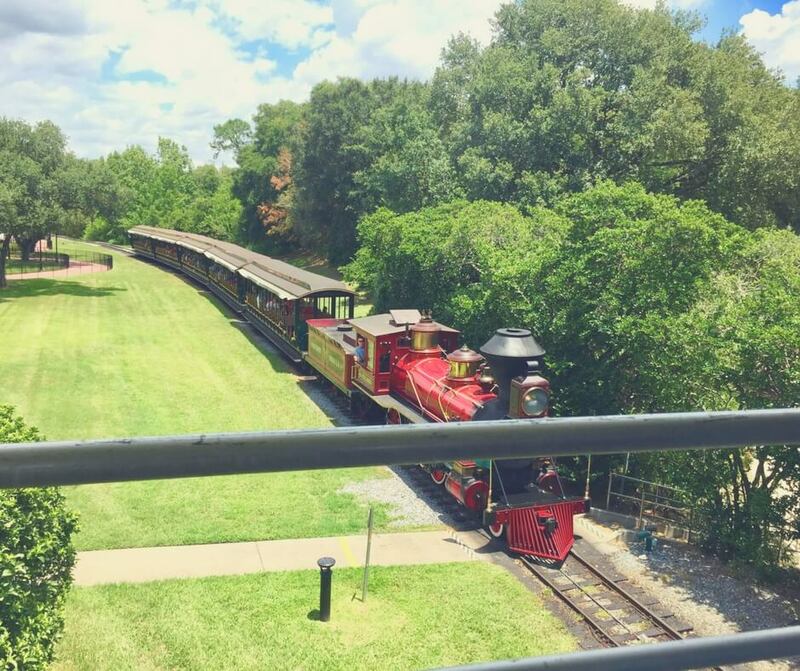 The Walt Disney World Railroad is brilliant when your stamina is fading after walking around the park for a while and all you want to do is sit down for 20 minutes or so but still take in some of the amazing sights available at Magic Kingdom. On the Railroad an old style steam-powered train takes you on a scenic tour around the park where you get to see the park without having to walk, there are handy stops in Frontierland and Fantasyland as well as the main stop at Main Street. Take the whole journey around the park or simply stop off at one of the other lands and continue later in the day. Walter E. Disney - named after Walt Disney. Lilly Belle - named after Walt's wife, Lillian. Roy O. Disney - named after Walt's brother. Roger E. Broggie - named after an original Imagineer who led the railroad project at Walt Disney World Resort. Sit down (yay!) and laugh in Monsters, Inc Laugh Floor. A comedy club run by the one-and-only Mike Wezowski. You'll hear hilarious jokes told by Mike and other Monsters in this interactive show. Not only that but you could get the chance to talk to Mike, tell your own jokes, even text in your own jokes to the show! We've been to the Laugh Floor a few times and every time my cheeks ache from all the smiling and laughing. There's audience interaction and be prepare to be "picked on" by the Monsters. A great way to spend some time. Sit in a rotating theatre enjoy a 21-minute audio-animatronics trip through the years. 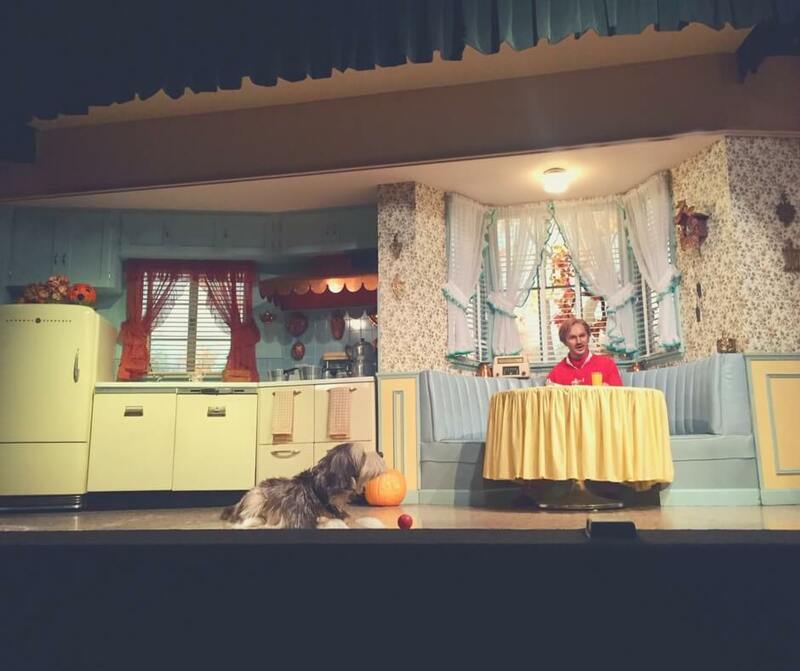 In Walt Disney's Carousel of Progress travel through the 20th century to see what a difference technology has made to our lives. Starting at the turn of the 20th century, then into the 1920s, the 1940s, and then to the present day you get to see how advances like gas lamps, sewing machines, and television changed our lives for the better. The Carousel of Progress is one of the best ways to get a nice long sit down, and there's not usually a huge queue for it either! The best bit about Carousel of Progress? The song. I guarantee if you go into the show having never heard it you will leave singing along. 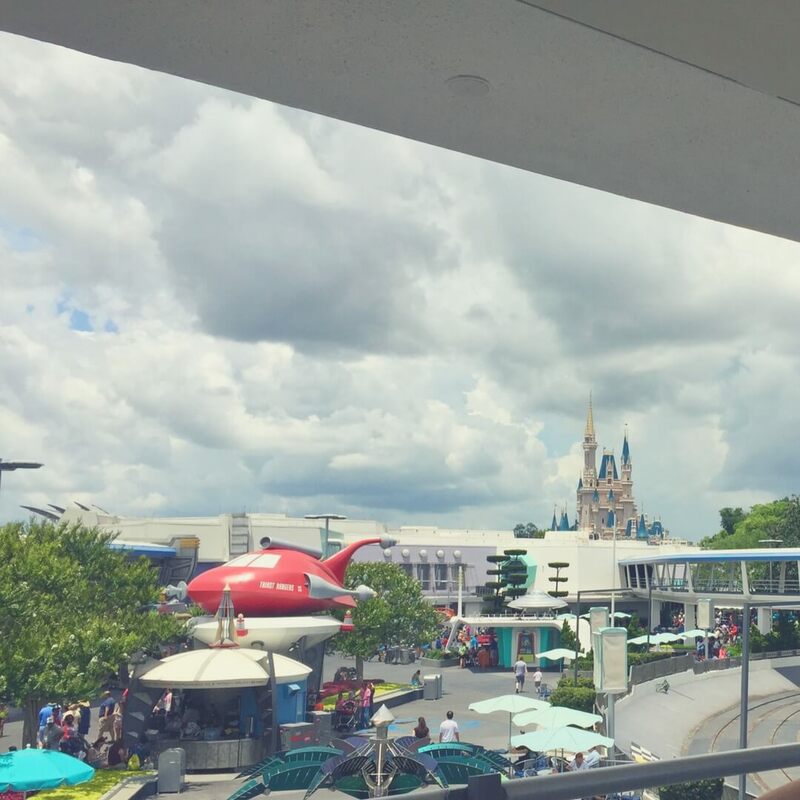 One of our favourite ways to get a quick sit down and still get to see the sights is by riding Tomorrowland Transit Authority PeopleMover, a 10-minute elevated ride touring Tomorrowland. Your ride is narrated as you're taken on a tour behind the scenes of some great rides like Buzz Lightyear's Space Ranger Spin and Space Mountain. You get a brilliant view of Cinderella's Castle, a breeze will blow through your hair as you speed around the track and enjoy the shade! Definitely one to check out if you haven't already. We love the PeopleMover, it's almost never busy and you get a sit down while looking around the park. We know it enough to be able to talk along with narrator but we do love it so much. Fancy a trip on a boat? Try the Jungle Cruise - a 10-minute cruise where you might get to see hippos, elephants and maybe even a headhunter! Entertained by your skipper, he or she will lead you on a fantastic boat-ride through the Amazon in South America, The African Congo, The Nile River, and The Mekong River. Laugh, jump, and chuckle to yourself while you get a lovely sit down in a canopy covered boat. 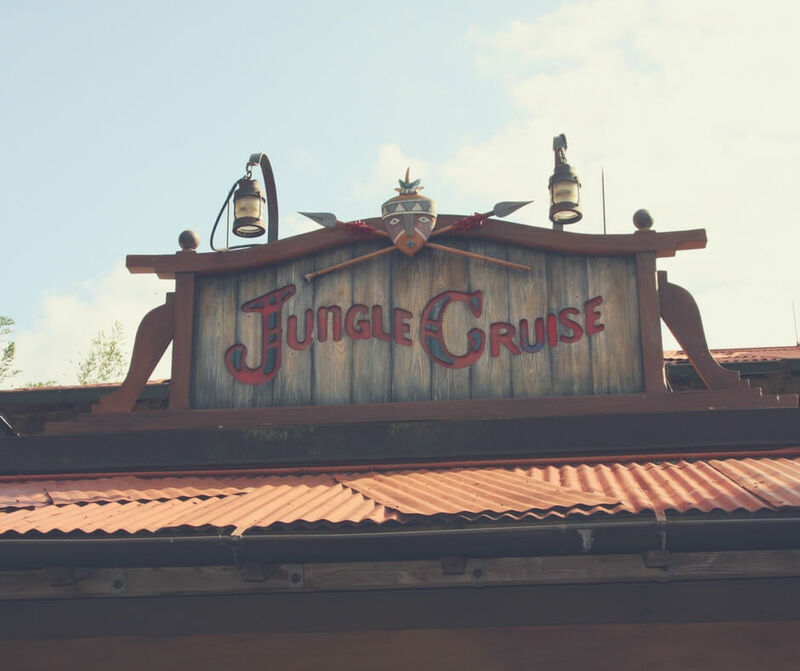 Going on the Jungle Cruise is like taking a break from the hectic park and stepping into a calmer land. It's lovely to do so when you feel like you can't take the excitement anymore! Watch lively birds, see beautiful flowers and Tikis in Walt Disney's Enchanted Tiki Room. Sing along with familiar songs and enjoy the jokes as you enjoy another wonderful sit down! The last time we visited Walt Disney World this was closed for refurbishment but it's still going strong and I'll be happy to enjoy the Tiki Room again soon. Walt Disney's Enchanted Tiki Room debuted in 1963 and was the first Audio-Animatronics show. It was thanks to Walt Disney's obsession with translating his love of animation into real life that led to groundbreaking new technology, this allowed the synchronisation of audio and movements. You could take another cruise, this one a little darker and 9 minutes long, into the world of Pirates in Pirates of the Caribbean. Sing along with "Yo Ho, Yo Ho (A Pirate's Life for Me)" as you float along the river. You might even spy Captain Jack Sparrow! There aren't places to rest in Frontierland - but there are some great rides! Take a 17 minute half-mile adventure on board a colonial-american inspired steam-powered paddler wheeler (a big boat!). 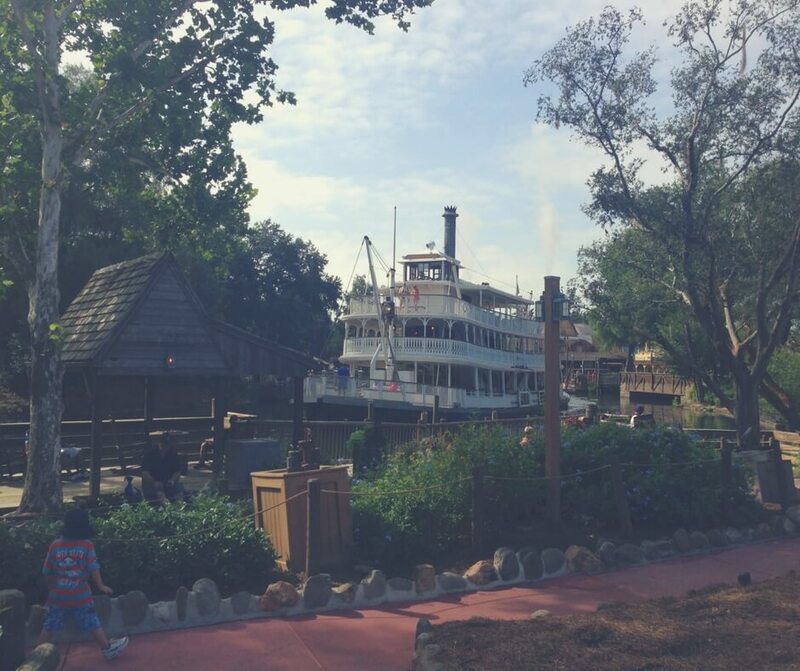 We have yet to try out the Liberty Square Riverboat, in all the times we've visited the parks we've not managed to do it, but I think this year we'll give it a go. One of my favourite rides in Magic Kingdom is Haunted Mansion and it's a great opportunity to get a sit down while enjoying a great ride. 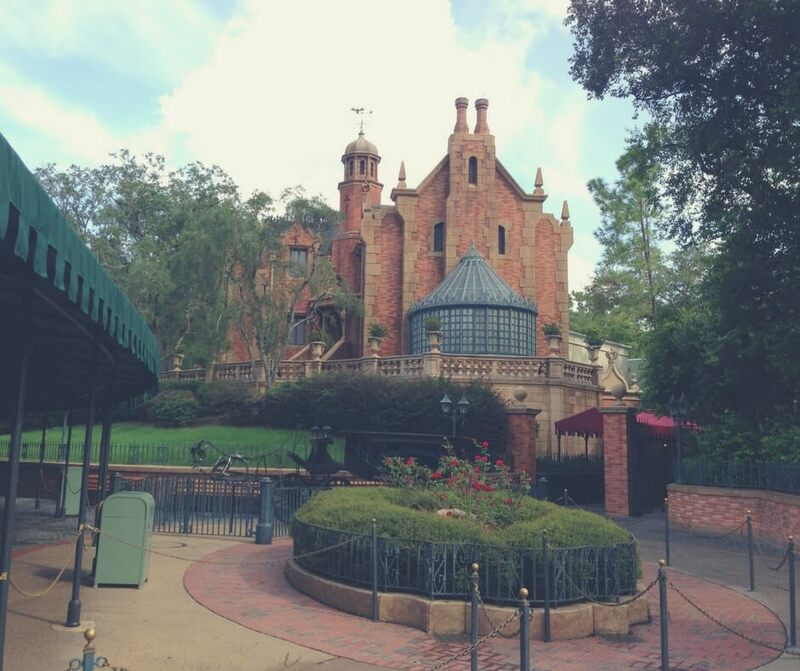 You sit in a Doom Buggy as the ghostly voice leads you on a tour around the Mansion. Listen to your "Ghost Host" as he tells you about the ghostly visitors and the stories behind them, and enjoy the song sung by the ghosts. Even now, having ridden it enough times to forget how many times I've been on it, I still marvel at the genius behind this ride. 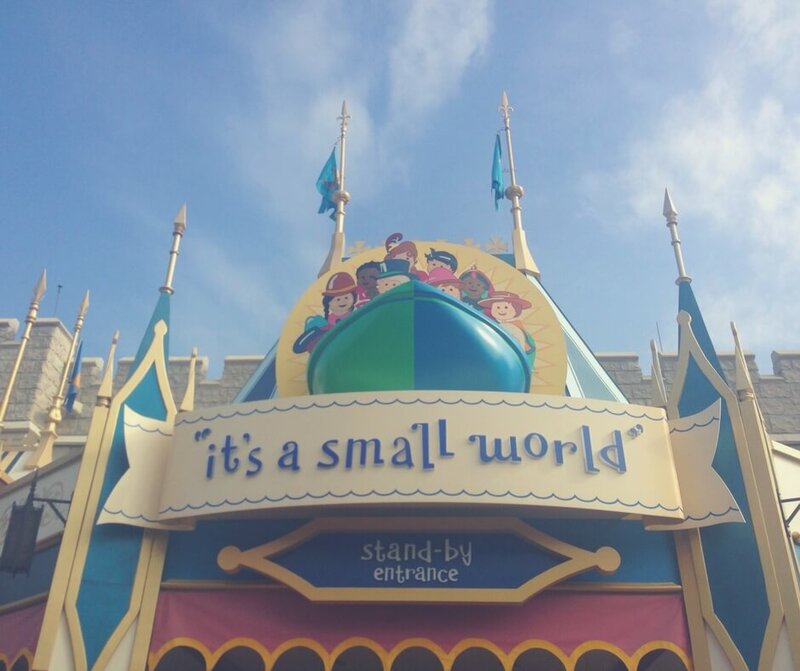 It seems Magic Kingdom is all about the boat rides because another great one is It's a Small World, a 10-minute boat ride through the world. Hear the iconic world peace song as you float by children dressed in the traditional clothing of their country. Once the song gets in your head you've had it! A fantastic show to enjoy while sitting in fairly comfortable seats is Mickey's Philharmagic - a 12-minute musical, magical show. You join Donald Duck on a tour of some of the most memorable songs in Disney Animation history, all the time enjoying the brilliant 3D. Be warned, this show is loud and might bother younger children but it is a fun and entertaining show. That's it for Magic Kingdom and as you can see there are plenty of opportunities to sit down and rest while you're enjoying the park. Add to that the amazing restaurants and stop offs for snacks and it's one amazing park. 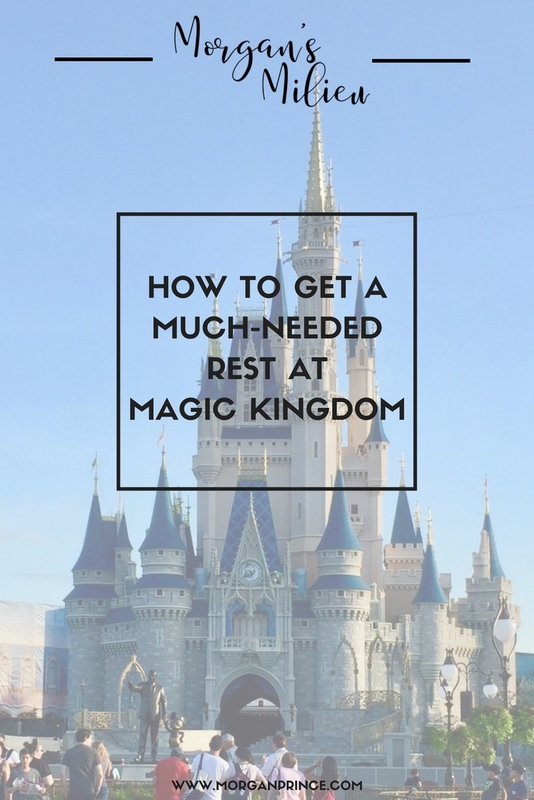 How do you rest when at Magic Kingdom? Hello Morgan! I love Disneyland and I have been several times. I love your post because I have have been exhausted hauling little ones here and there. I might have sat on the train for a few rotations to take a break. Reading your post takes me back and makes me smile. Thanks! Oh boy yes! We've sat on the train for a few rotations too! Particularly on the hotter days. 😊 So pleased to make you smile. As a former Disneyland cast member, I can give you two thumbs up on this post! If you're not used to trekking through the park day in and day out, your feet and back will kill you and your brain will be fried. Any time you can take a seat in the shade or air conditioning while keeping the kids happy is needed! It is exhausting! We also found the Country bear jamboree show a great place to escape the heat while sitting down. Cheesy for sure but it was such a nice break from the heat. Thanks Megan, it really is! Aw thanks! It is SO much fun, with little ones, but more so with older ones because you can make them cringe when you try to dance with them in the middle of the parks!